Specialized Books, Journals, Audiovisual Material Relating To The Media? Video Programmes, Films On Development Issues Specially Produced For You? Training Programmes on the Effective Use Of Low-Cost Media? A 100-Seat Air-Conditioned Gerry Rosario Hall with Large Screen Video Projection? An Air-Conditioned Ignatius Board Room? Mc Farland Hall, 120 Seater Air-Conditioned on Hire? The Cardinal Gracias Media Resource Centre (CGMRC) has a special collection of books, periodicals and audio-visual material on Media and Social development issues. CGMRC serves a wide category of clientele both internally and externally. Its vast pool of literature and multimedia material in Media Communications persuades you to make the most of the facilities. As communicators it is right that we not only familiarize ourselves with the various media at our disposal, but that we also keep abreast with the contemporary happenings that use the media. The Cardinal Gracias Media Resource Centre (CGMRC), formerly the Media Resource Centre had its origin as the Media Library in 1971. Beginning with an admirable collection of 600 book titles specializing in the media, it grew to become the city's best media library with resources extending into audio visuals and documentations, warranting a change of name. In 1991 its collection boasted of over 6000 book titles, 1000 audio visual titles and a documentation centre referred to by its users making it the city's best Media Resource Centre. With the seed money from a generous donor, the library originally on the second floor has been expanded into its new "avatar": Cardinal Gracias Media Resource Centre. Situated on the ground floor of the XIC building this new space keeps records in print, audio-visuals and electronic forms and will service not just XIC students but college under-grad BMM students as well. To become the best Media Library in the country. 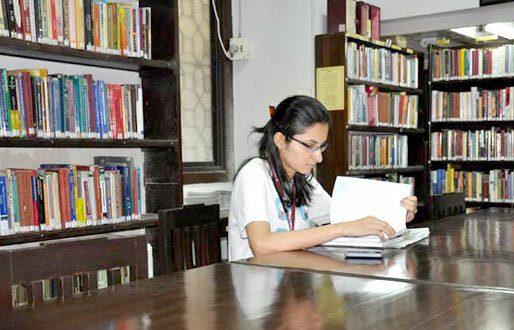 To play an integral part in XIC's academic programmes. To satisfy the specialized needs of the media students, researchers and professionals. To develop skills of creativity and critical appreciation of the media. To foster the habits of methodical research. 2.00 pm. to 5.00 pm. 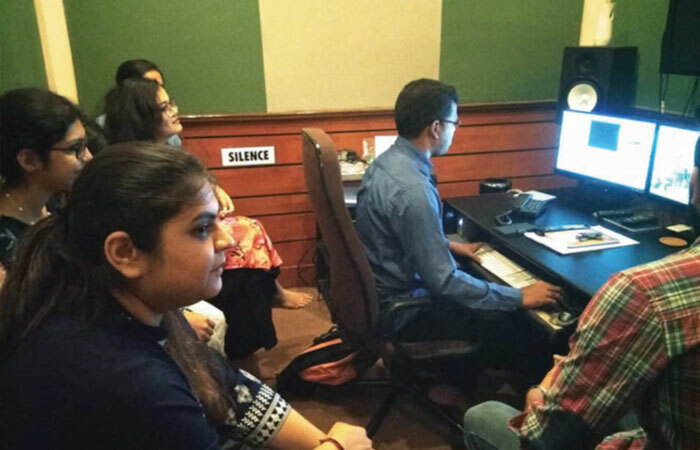 "For Professional Sound Quality - visit the XIC Sound Studio"
Xavier Institute of Communications (XIC) is more than just a teaching institution. It has a well-rounded approach to media communication that involves more facilities than just classrooms. 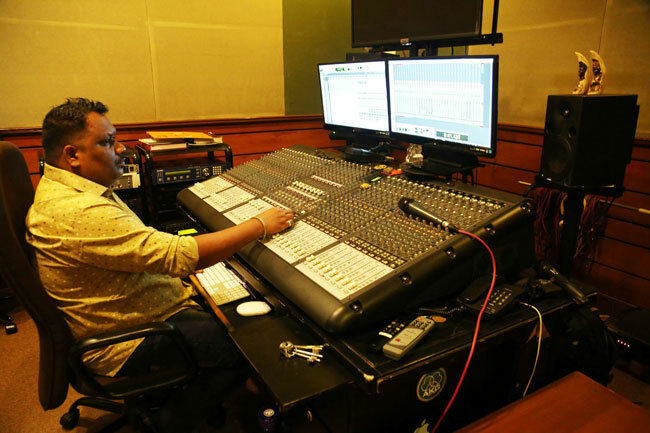 Inaugurated on November 22, 2005, the Sound Studio is now located at the XIC Campus, St. Xavier’s High School, Dhobi Talao, the extended wing of the XIC premises. The Sound Studio designed to perfection, is situated on the first floor of this historical building. The exquisitely designed antique wooden doors and columns add classiness to the décor, transmitting a sophisticated look to the fully furnished, clean, quiet and spacious air-conditioned studio. An added advantage - it is centrally situated and easily accessible. So if you are “Looking for something sound? drop in at the studio and check it out personally”. "Make video memories effortlessly - Use the XIC Editing Studio"
Technology has revolutionized the media industry and Xavier Institute of Communications (XIC) has kept pace with these developments. A Video Editing Studio, covering an area of 200 sq. ft, is available for Video Recording and Editing at the XIC - St. Xavier’s High School campus, an extended wing of the XIC premises. With so many camcorders out there and with virtually every digital camera being able to record movies, let alone old video tapes we have laying around, video editing is becoming a must. The Editing system available is the Final Cut Pro - Version 7. It can give you the ability to edit scenes and clips to make the kind of professional looking-movies that would have been impossible a few years ago. The Editing Studio is already being used by XIC students for their film projects; it is open to you too! Use our Editing Studio, you can have good footage in hand, capture, edit and produce your video film like a pro. Mr. Pradeep Dhopte, Video Editor on Tel: 22696695 / 96.
or better still, drop in and check it out personally. "Planning a conference? Why not hold it at XIC!" Most people know that Xavier Institute of Communications (XIC), is a professional media centre which offers a variety of services in training and production. What most people do not know is that the XIC also has facilities to offer in terms of hire of space, which you may be interested in, at a price you can afford. So, if you are planning a conference, an official meeting, a presentation, or a screening - XIC is where you could come to. 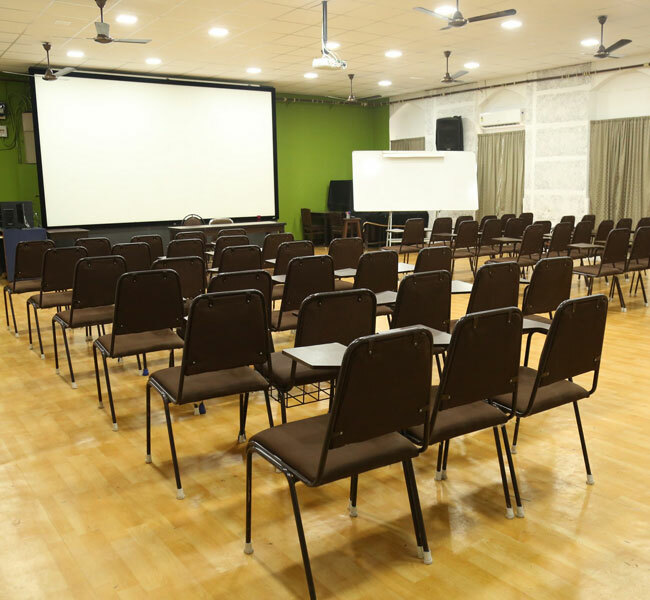 We can offer you clean, quiet and spacious air-conditioned facilities with a variety of projection facilities. An added advantage is that XIC is centrally situated and easily accessible. Mr. Mario Fernandes - Administrator on Tel: +91.22.2262 1366 / 2262 1639.